Due to the mercury contained within the musical device, musical greeting cards must be disposed of as household hazardous waste if they are kept whole. Remove the musical device in order to recycle the card. The device should be recycled as e-waste, and the paper portion of the card can be recycled with your other paper products. You can send certain brands of used greeting cards to St. Jude’s Ranch for Children, which operates a recycling program in which the greeting cards are made “new” again. Find out how to participate. Because of the hazardous materials they contain, musical greeting cards can be harmful to the environment, especially if they’re disposed of improperly. It’s better to opt for a non-musical, more easily recycled greeting card instead. 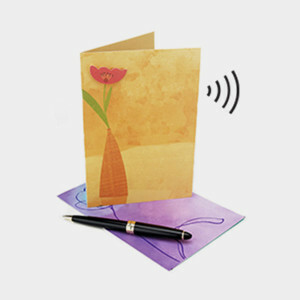 With just a few simple tools, you can repurpose the sound system inside a musical greeting card into your own recordable communication device. Find out how. Musical greeting cards require batteries to work, and these batteries can contain more mercury than a compact fluorescent light bulb. Mercury is very hazardous both to humans and to wildlife, and most of the mercury in the atmosphere comes from burning mercury-containing garbage.